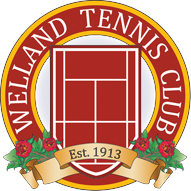 The Welland Tennis Club hosts a large number of junior, senior and club championship tournaments throughout the summer and fall. Below is a listing by month. If you have any questions please don’t hesitate to contact the tennis club at (905) 788 – 1066 and speak with the Club Pro.